Apparently I chose a color that’s on trend and impossible to find. I wanted a look that went from black to dark violet to silvery lavender. The fist beauty supply store didn’t have the colors and told us to go to Wigs and Plus to get the lavender dye. Ashley, ever the trooper, made the trek only to find out they have been sold out of lavender for three months. While searching high and low for this dye, Ashley ended up running into the actual Ricky of Ricky’s NYC, a specialty beauty supply store that’s awesome. He told her there was no way she’d ever find lavender dye and gave her the recipe for making it (3oz of clear dye, 1 oz of pink and a drop of violet dye). 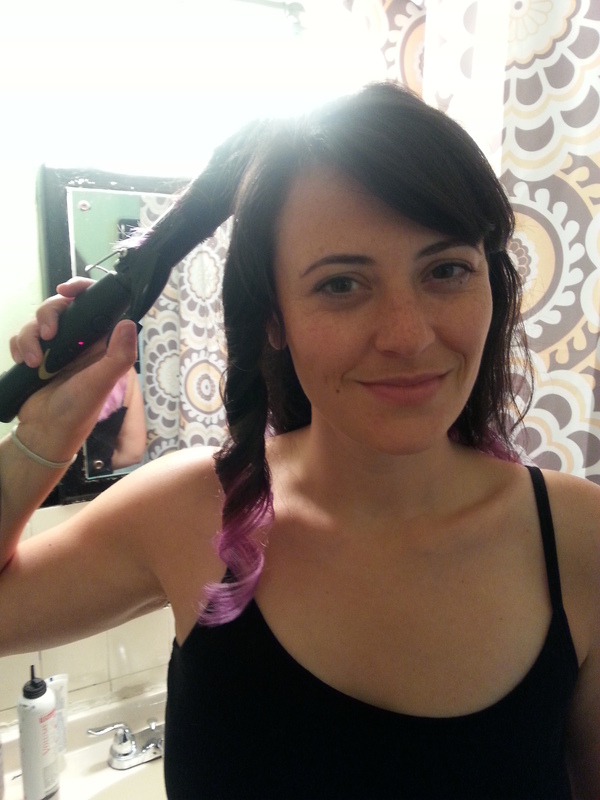 So yesterday we got started on the purple ombre! Time to get rid of this skunk look! Had to make sure they were all well blended. The three beautiful shades of purple. I washed out the dye and started styling. I love how it came out! Mermaid hair!!! I love the suble gradient! Ashley did such a great job! It’s so cool to see how different it looks with every movement. Had to see what it looked like braided. Now that it’s done I have no idea why I waited so long. A HUGE thank you to Ashley for your time, encouragement, and artistry!